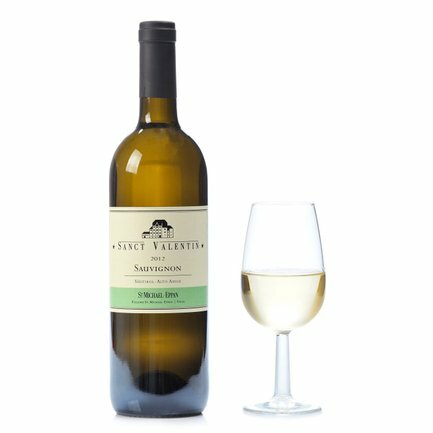 The Sauvignon Sanct Valentin is an intriguing white of the highest oenological order. Obtained from Sauvignon grapes, it owes its sublime structure to a small portion of product having been aged in barrels. 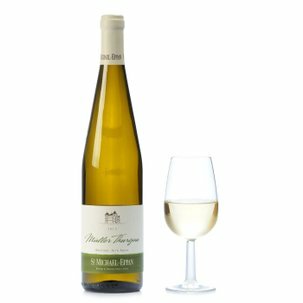 Tending towards a greenish colour, on the nose it weaves fascinating and captivating fragrances of wild elderflower, figs and spices. In the mouth it is refined, dry and persistent, showing admirable personality and richness. Alcohol: 14% vol. Sumptuous with starters, with strongly sauced fish dishes and with cheese.